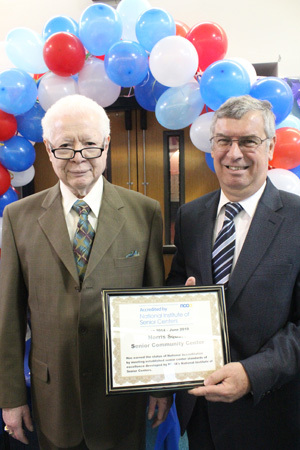 Visitors to Norris Square Senior Center cheer the news that their Catholic Heath Care Services-run agency and two other Catholic senior centers in Philadelphia have been accredited and recognized by the National Institute for Senior Centers. 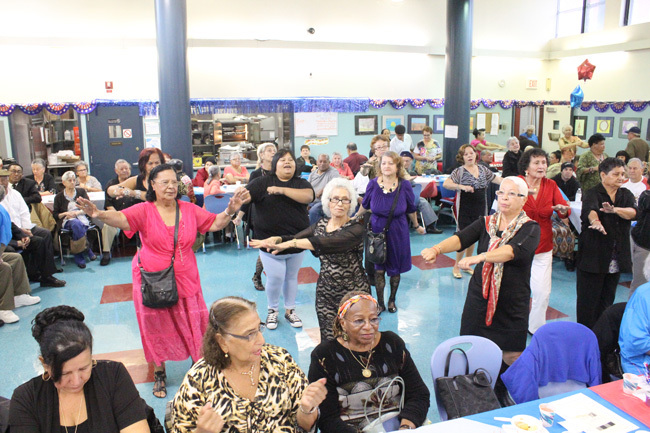 Among the social outreach programs conducted by the Archdiocese of Philadelphia one of the nicest is the small group of senior community centers that have been quietly serving older Philadelphians of all nationalities for decades. Three of these centers — St. Anne Senior Community Center, Norris Square Senior Community Center and St. Charles Senior Community Center — were given peer recognition last week through the celebration of official accreditation through the National Institute for Senior Centers. It is a big deal because there were nine different areas that were examined and the three centers came through with flying colors. It was good news too for Catholic Health Care Services, which was recently diminished by the sale of most of the archdiocesan nursing homes. 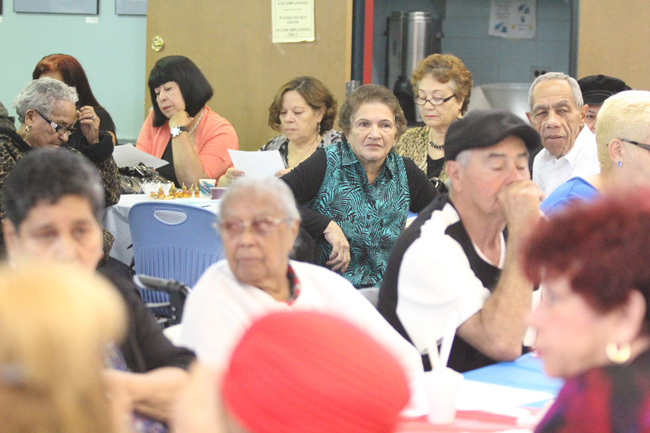 Sweeney called attention to the fact that seniors make up the largest group of Catholics in the City of Philadelphia and their numbers are still growing. A particular focus at this time is the sponsorship of senior housing, for example a new complex in the Port Richmond area that is on the drawing board. As for the possibility of the creation of more senior community centers in the future, “you never say never,” Sweeney said. 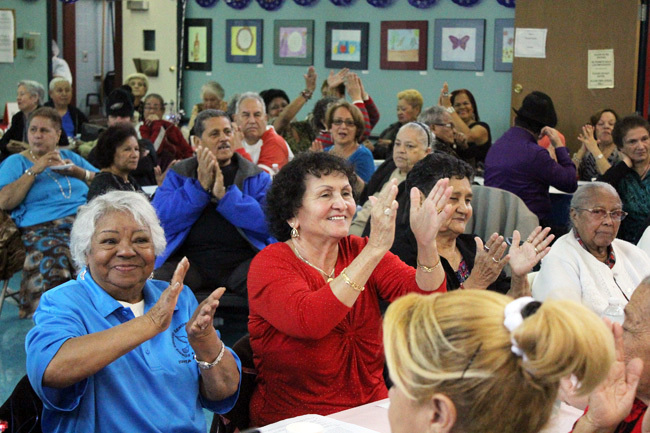 The senior centers aren’t just places for elders to stop by and play cards or bingo. “We offer a variety of programs,” said Shirley Weaver, director of community-based services for Catholic Health Care Services. The centers are open Monday through Friday, and during that time, people can receive a nutritious breakfast and lunch. The seniors who patronize the centers also receive a follow-up assessment. 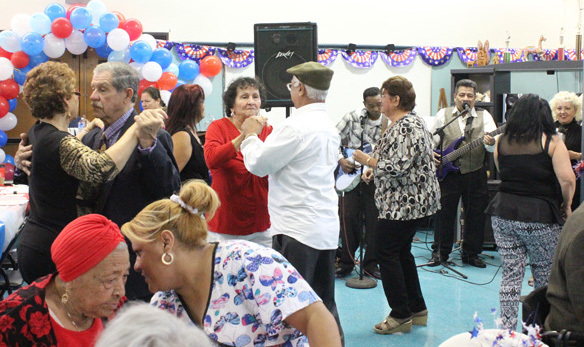 The centers serve on average about 350 seniors a day and any seniors 60 years of age or more can come to the center, with an average age of probably 79, Weaver estimates. While health and welfare issues are solid reasons for the centers to exist, the various social programs also have an integral role in making retirement years a pleasure for those who come through the doors. For this the centers rely on their core staff and many volunteers, a fair number of whom are seniors themselves. “I love to come, I love the activities and you meet so many new people here. It is beautiful,” said Bobby Jones, 70, who has been visiting the St. Charles Center for about three years. She’s not kidding about meeting new people: “I met my husband Henry here, we got married last year,” she said.